You can get it at a reduced price right now, with a couple of tracks available for instant download. The rest of the album will download on the release date of January 29th. Nifty, huh? 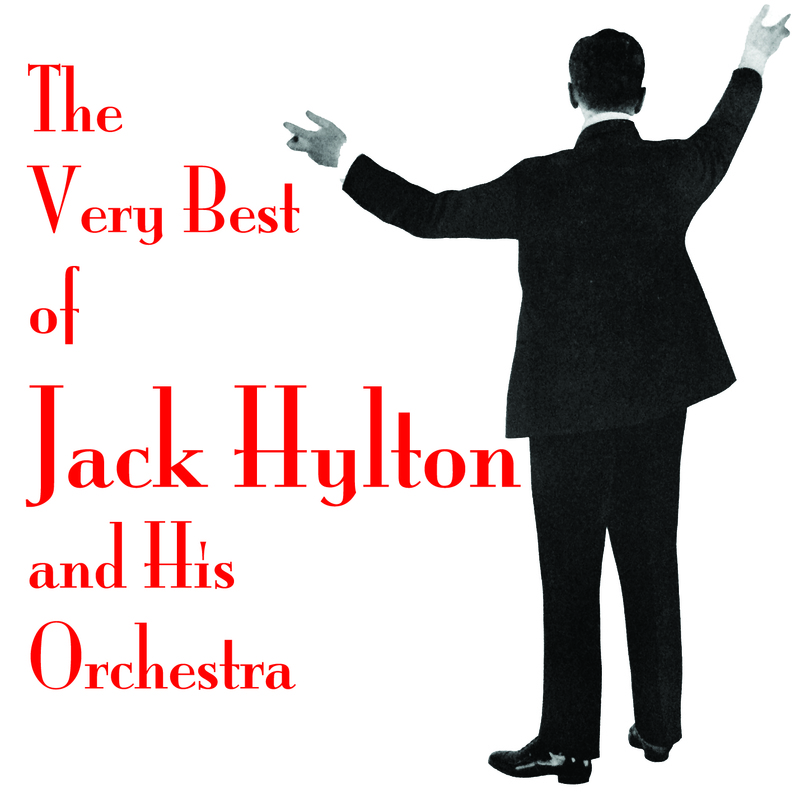 Of course, the CD version of the album (which, to be honest, I’d prefer you to buy) will be available for the first time at the concert on January 29th, then on jackhylton.com thereafter. I’ve put together the album myself and it’s my choice of tracks which are both a good representation of Hylton’s career, but also a decent listen. There’s a couple of things on there you’ve probably not heard before and quite a few things which aren’t available elsewhere on CD. So that should hopefully be incentive enough for you to buy! The CD will be priced at £5.99, which I think is reasonable, and in line with many other similar products. It’s also considerably cheaper than many! Right, that’s enough hard sell for one day. I suspect I’ll mention it again on here once I’ve received the CDs from the pressing plant and they’re on sale. Well, amongst the never ending score writing which seems to be burdening my life at the moment, today I’ve come up with a real treasure. It’s a version of “Cheek To Cheek” which the band never recorded. All seemed normal until I realised that the vocal part of the song had no instrumentation and included a vocal in seven parts! This is a real rarity. 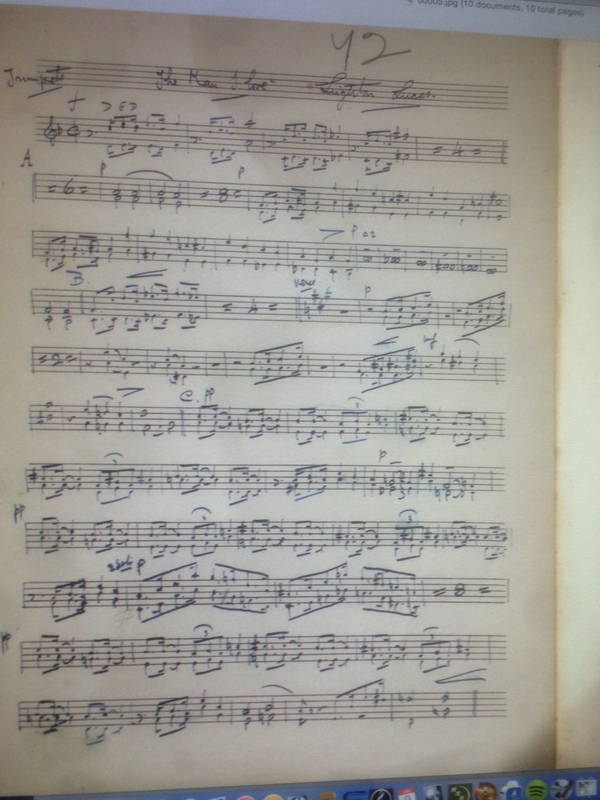 I’m not aware of any other arrangements in the archive within which all the instruments stop and singing starts in quite so many parts. It is, of course, quite hard to imagine how it would sound played by the full size band and that many singers. So, if anyone fancies working on it and recording it, we’ll publicise it and stick it on the website. There we go. That’s all I’ve got to say. The picture above might go some way to helping you understand how hard it is to make the old scores into new all singing all dancing computerised scores. That is, suffice to say, a little bit hard to read! Better go, lots of sellotaping to do! Well, folks, as I alluded to in my last post, sometimes life is more important than the internet and that’s the way things have panned out for me over the last few weeks. I won’t bore you with the details, but I’m back onto thinking about matters Hyltonian. Just as well, really, given how soon the concert is. 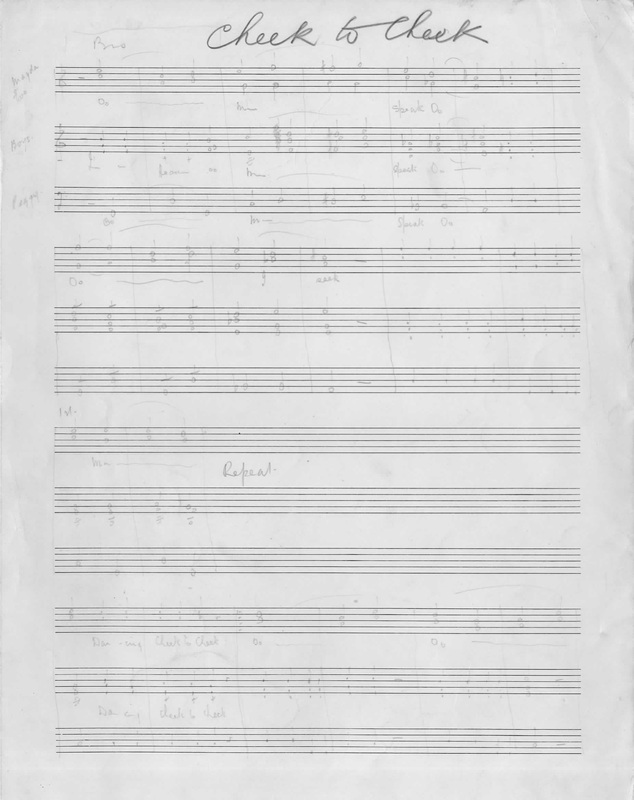 So, whilst all that is going on, I’ve been commissioned to transcribe another load of arrangements for Lancaster University Music Society, and the deadline has rather crept up on me. 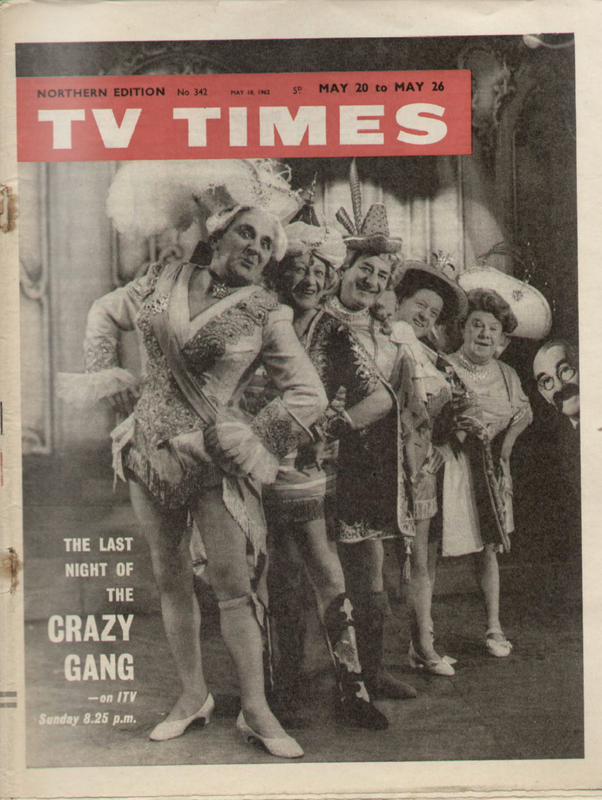 TV Times from May 1962, featuring The Crazy Gang. Well, things have been quiet round here for a while, but frankly, life gets in the way sometimes and I make no apologies for that. Further to my previous YouTube posts, I’ve also had my hands on the full TV programme of the Last Night Of The Crazy Gang, which was, of course, a Jack Hylton production, as it had been at the Victoria Palace for the previous fifteen years. Well there we go. I’ve spent enough time talking about it but now it exists in real life. 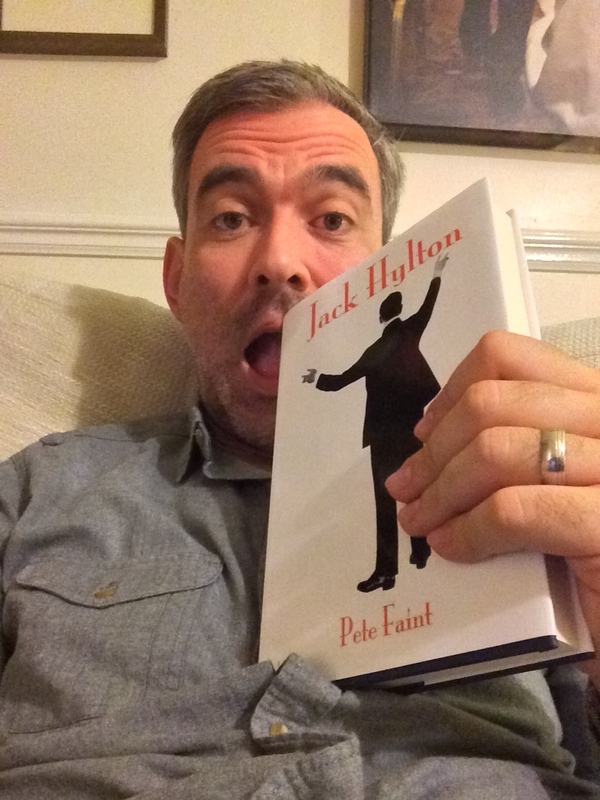 In fact, after nearly twenty years of speculating about it, I’ve finally made a Jack Hylton biography happen, and there it is, in my hand. In fact, at the moment I’m taking it everywhere I go at the moment, but I think that’s OK! As it happens, this one is unique. I spotted a couple of glaring errors, so I corrected them and revised the project and now I have a room full of them being printed and sent out to me. Hey, guess what you’re getting for Christmas….? Please come to the concert where I shall sell this for the first time, and sign it, and probably give you a little bit of a discount. If you’re nice. Well, you have these bright ideas, and you’re never sure whether you should bother. 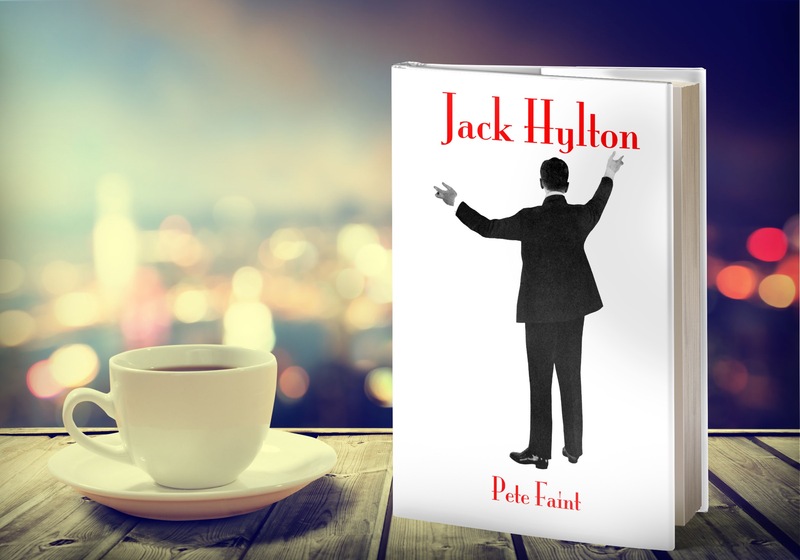 As you’ll be aware, I’ve recently made all my score writing work available on the Jack Hylton website, for people to download, print off, and play. For free. Sounds daft, but nobody would pay a ‘fair’ price anyway, so I may as well spread the love, I was doing it anyway! I wasn’t really sure whether there was any point to it, or whether anyone would be bothered enough to try them out. Of course then there’s the worry about whether they would work! Worry no longer. 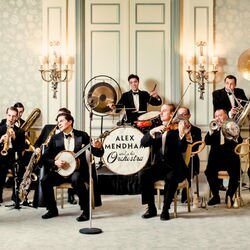 The rather splendid Alex Mendham and his rather splendid orchestra have performed Life Begins At Oxford Circus. Not only that, they video’d it! Here you go. Thanks Alex, hope the arrangement was OK for you all.